SALT LAKE CITY, Nov. 28, 2018 /PRNewswire/ — Canvas by Instructure (NYSE: INST), the open learning management system (LMS) that makes teaching and learning easier, has collaborated with Vocareum and the Ira A. Fulton Schools of Engineering at Arizona State University to offer a free course in support of Hour of Code. 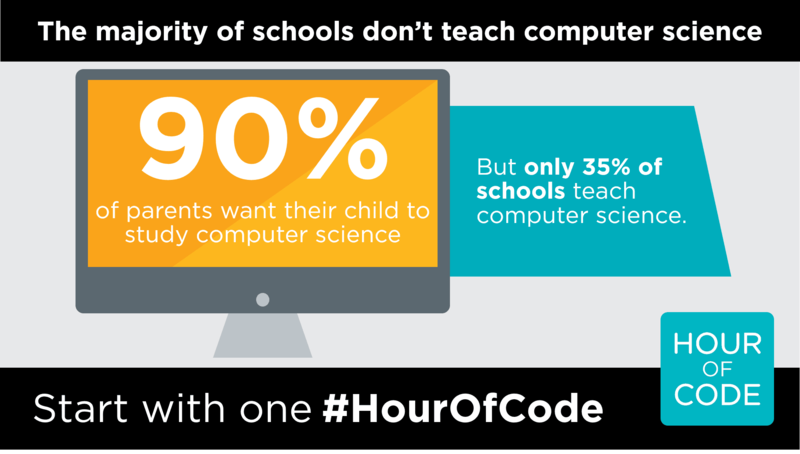 The course will help teachers prepare to teach an hour of code in their classrooms, providing the tools and confidence they need to introduce their students to coding. With Vocareum closely integrated with Canvas, teachers have access to virtual computer science labs to support coursework in data science, programming, robotics, and more—all without ever having to leave their Canvas environment. The content for the course has been provided by Phillip Miller and Dr. Ryan Meuth Lecturers in the Fulton Schools. The free, online, self-directed course prepares teachers to facilitate computer programming activities in their classroom by introducing the basics of computer programming and computer science pedagogy. The course gives teachers computer science confidence through a hands-on introduction to programming using the Python language, no experience or extra software required. The course will be available on Canvas Network starting November 26, 2018. Teachers completing the course with a grade of 70 percent or better will be eligible for an 8-hour Professional Development Certificate issued by Arizona State University. SAN JOSE, Calif., Feb. 13, 2018 /PRNewswire/ — Vocareum, a pioneer in cloud-based learning labs, is pleased to announce the general availability of its integration with edX.org, the leading nonprofit online learning platform created by Harvard and MIT, to enable instructors to deliver more interactive and engaging content than ever before. The Vocareum cloud learning labs and auto-grading capabilities make it possible to administer coding assignment, perform assessment and deliver student feedback at scale and in real time across the over 2,000 online courses and programs offered on edX.org. Having already been deployed across numerous partners within the edX educational consortium, the Vocareum solution on edX supports a broad range of courses, including Artificial Intelligence, Machine Learning, Data Science, Software Development and more from prestigious schools, including Columbia University, The University of California, San Diego, The Georgia Institute of Technology, and University of Pennsylvania. Single-Sign-On. Vocareum provides seamless integration through LTI (Learning Tools Interoperability) and a single sign-on for edX users, with no need for a separate Vocareum login. Consistent User Experience. edX users stay within the platform’s context, even when working on assignments served by the Vocareum cloud. Simple micro-assessments or programming exercises can occur directly in-line with the rest of the educational content; more complex programming assignments or exams can launch in a new browser window. Automated grading and reporting. With Vocareum’s automated grading capabilities, edX instructors can support massive enrollments and also deliver a much more engaging student experience with hands-on programming assignments and real-time assessment of student work. Scalability. The Vocareum cloud lab is built for MOOC-scale and has already been deployed in sizeable edX computer and data science courses, handling millions of live student programming assignments. Vocareum’s hands-on programming labs and real-time assessments, paired with edX’s platform and educational content, provide tomorrow’s computer and data scientist professionals with the knowledge and tools to create real-world solutions in emerging disciplines.